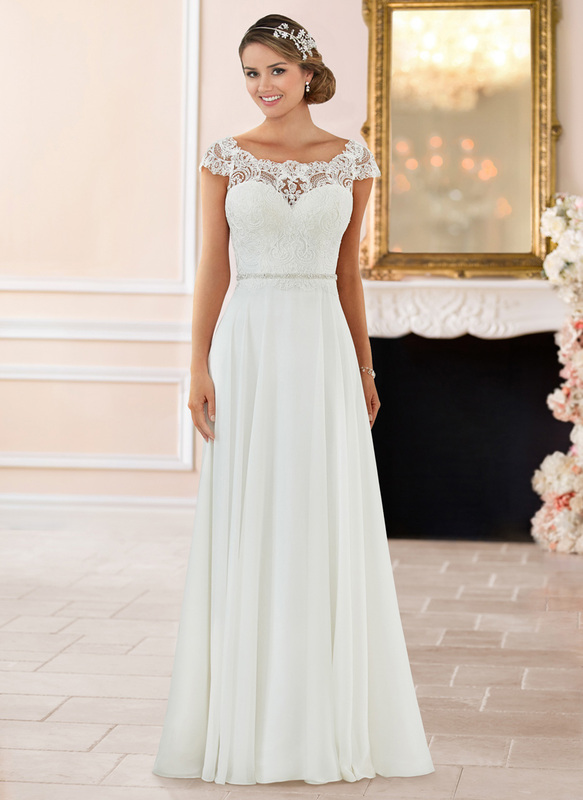 The lace off-the-shoulder sleeves give this romantic wedding dress a unique, boho feeling. 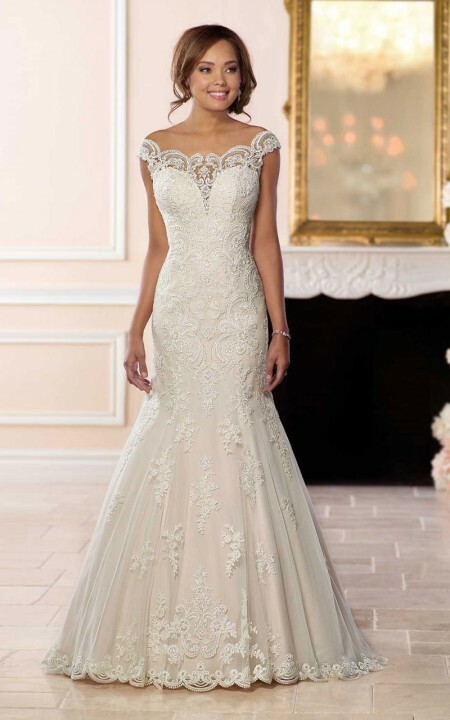 The stunning silhouette of lace and tulle pops with shimmering beadwork. 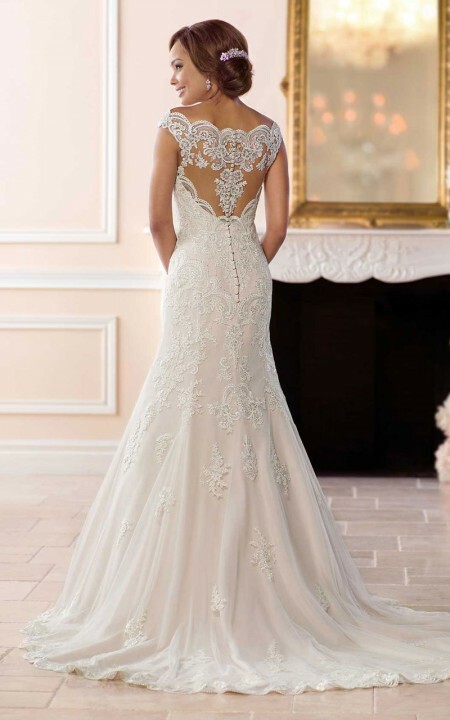 Placed lace is designed in a V-pattern across the waist, drawing it inward to slim the bride’s figure. 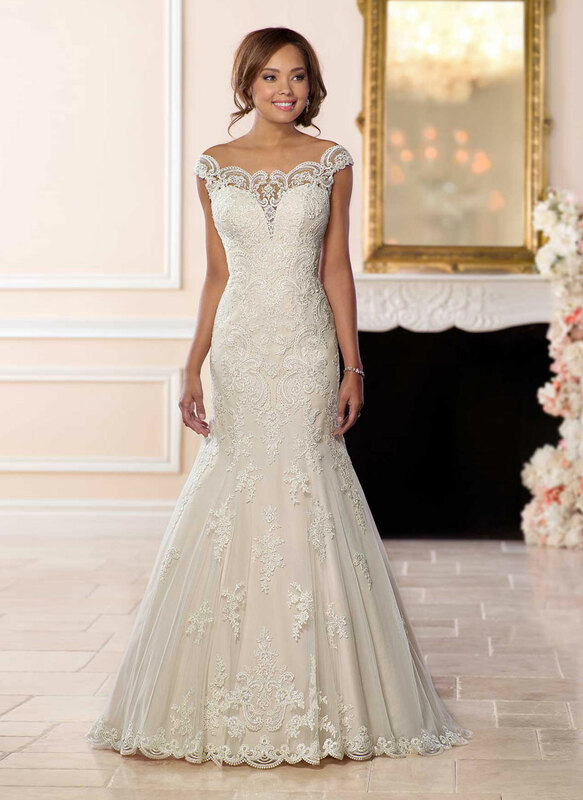 Linear beading gives off an element of modernity to the floral lace, while the scalloped lace hem of the skirt matches that of the sleeves. 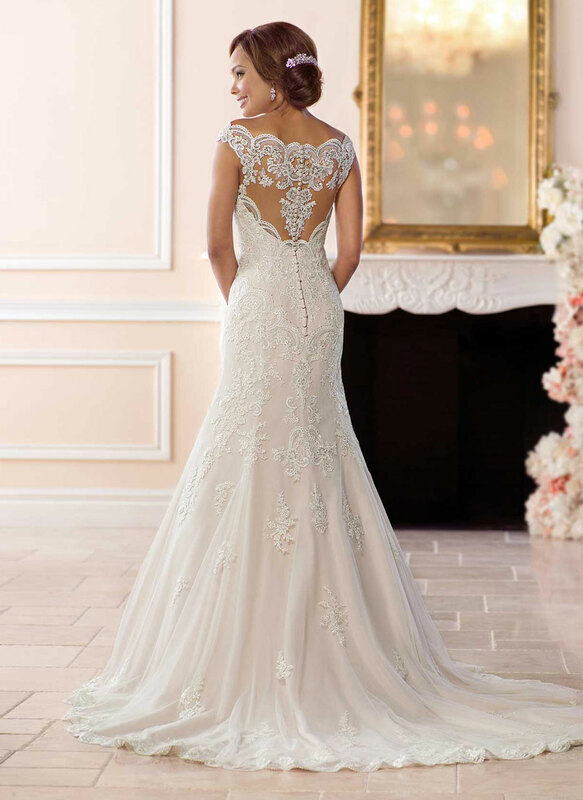 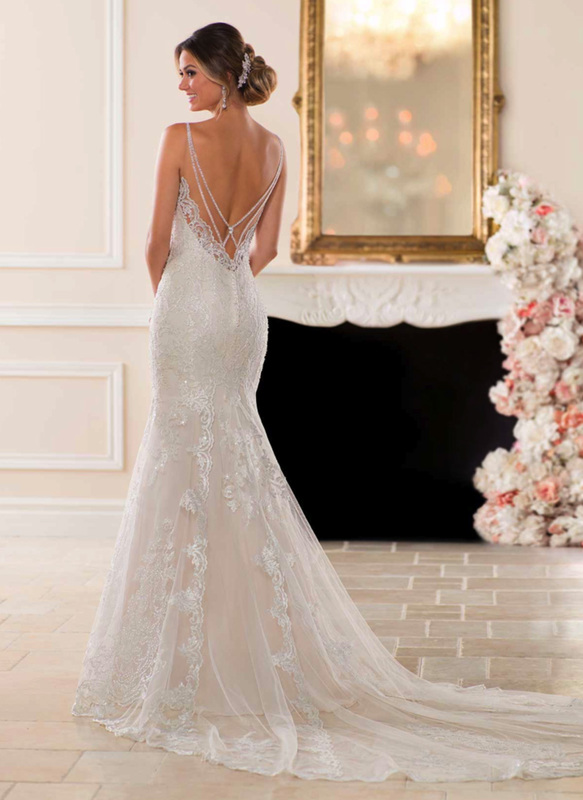 The delicate illusion open back draws attention to the long cathedral length train, which is finished in scalloped lace.